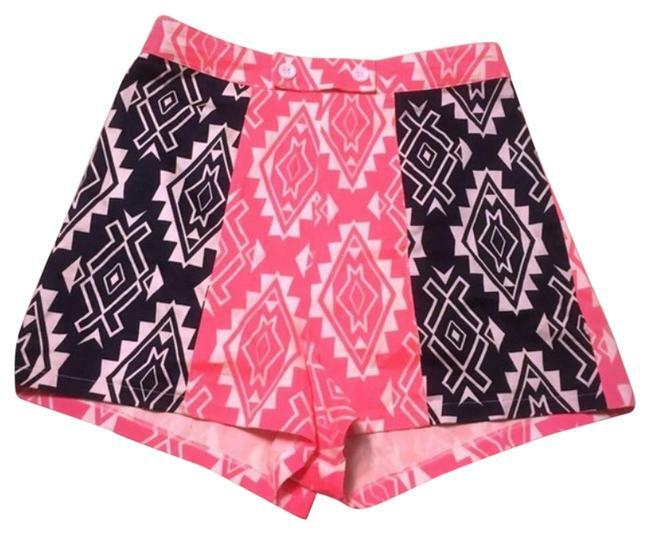 Vibrant / bright pink black and white high waist shorts with zipper closure in back and two accent buttons on front. 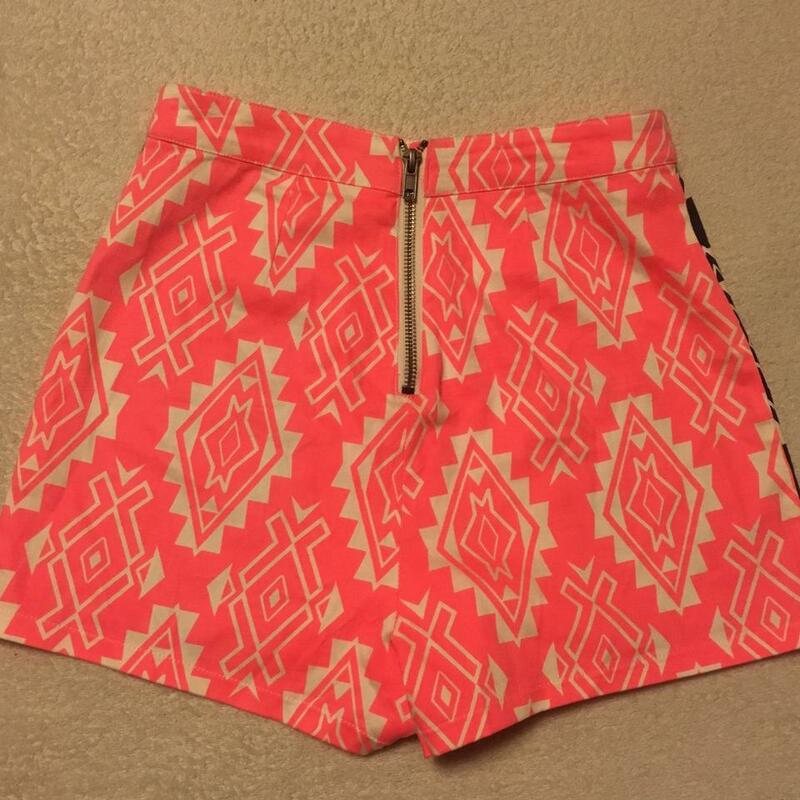 Size XS . Waist is appx 23" Rise is 12"